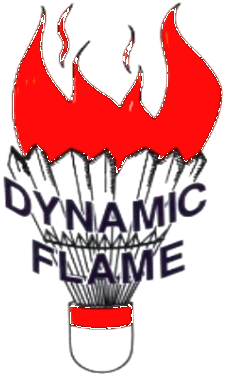 Dynamic Flame Badminton Club (DFBC) is a team of volunteers building stronger, healthier, happier and safer communities. We invite you, your family and friends to join a club for ALL, from the ground up, managed by a team of exuberant youth creating the ideal environment for badminton. Now playing at TEN sites (recreation centres) in Perth region WA: Bentley, Cannington, Girrawheen, Heathridge, Kingsway, Kwinana, Langford, Melville, South Lake and Victoria Park. We are at multiple locations in Perth. We negotiate a better outcome to benefit you. We assist at a time and place that suits you. We provide you professional coaching. We would like to register you with the State Sporting Association. We provide excellent all-round services. We are learning - We are growing - We are dedicated, willing and enthusiastic. We are DYNAMIC and the FLAME shall continue to burn in 2018 and beyond. We are one - Together we achieve - We are the Best in the West !